Post-Op (written and verbal) instructions will be provided and explained specific to your physician’s orders. Pain control will be discussed. If a prescription is ordered per your physician, it will be called in to the pharmacy of your choice, unless a hand written prescription is required. If you had outpatient surgery and were discharged home: Call the SurgiCenter at (309) 662-6120, open 7:00 a.m. to 5:00 p.m., Monday through Friday. At night and on weekends, phone your physician’s office to talk to their answering service. You will have received this number upon discharge from the SurgiCenter. 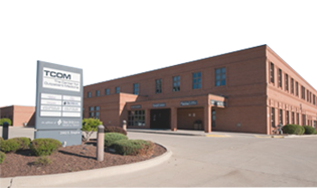 If you had surgery and were discharged from the overnight Recovery Care Center (BroMenn Comfort and Care Suites): Call the Recovery Care Center at 309-662-6120, press option 1, open twenty four hours a day/seven days a week UNLESS THE FACILITY HAS NO PATIENTS. IN THIS CASE, YOUR CALL WILL BE FORWARDED TO THE SURGICENTER. If the SurgiCenter is closed, please call your doctor’s office. We ask that you click “Online Patient Registration”. This will connect you to One Medical Passport. This website guides you to enter your medical history online to help us to provide you with the best possible care and minimize long phone interviews and paperwork. First time users will select the green Register button and create an account. Returning users (for changes or reuse) will enter the username and password to access or update their account. Answer the questions on each page and click save and continue. Once complete, you will be prompted to click Finish to securely submit your information. Each page has a Help link you may click for assistance. If you are unable to complete online pre admission, please call 309-662-6120 during business hours for a phone interview. Press Option 2. We ask that you review all the information on your consent before signing it. If you have any questions, please ask. Your surgeon will mark your surgical site with their initials using one of our markers or place a green bracelet on your wrist to identify your surgical site. Please make sure you agree with your surgeon. Always speak up if you disagree. We will ask you to make sure your identification bracelet is correct. If it is not correct, please notify us. We will make it correct. We will ask you to verify your allergies and then we will place a red band on you. Please make sure that your allergies are correct. During the admission process, the nurses/doctors may ask you the same questions up to four times. Do not be alarmed, this is how we make sure everything is correct. To ensure correct identity, we will ask your name, birth date, the surgery to be performed, and the location on your body of the surgery. We will check your identification bracelet when you tell us this information. Do not be alarmed if your doctor asks you this information, this is how he/she makes sure everything is correct. Before your surgery begins in the operating room, the staff will take a short time-out to once again verify that you are the correct patient and that they are getting ready to do the correct surgery on the correct body part. If your surgery requires anesthesia, your responsible adult is required to be present during discharge instructions, as you may not remember the important information. A written copy will also be sent home with you. If you receive anesthesia, you must have a responsible adult stay with you for 24 hours. If you have any concerns about your safety throughout your stay, please let someone know. You may contact our Quality Nurse Director at (309) 662-6120, ext. 307. IT IS VERY IMPORTANT THAT YOU ASK IF YOU HAVE ANY QUESTIONS.